October 10, 2016 – San Jose, California. Key Housing, a top-rated corporate housing service for the San Jose and Bay Area area, is proud to announce their blogs on the California corporate housing market have reached a milestone of 60 total entries. The blog covers all of California, but has returned time and again to the Bay Area, and San Jose in particular. The series has covered tips and insights for scrambled consumers attempting to find corporate and short term housing in the Golden State’s third largest city of San Jose. 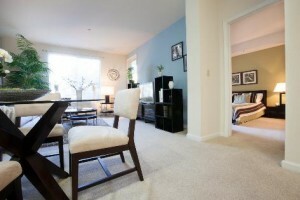 To view blog posts in the series on San Jose, visit http://blog.keyhousing.com/tag/san-jose-corporate-housing/. A typical post in the series is entitled, “San Jose Corporate Rentals: Live Like a King.” It contains tips on finding housing in San Jose; most importantly, to start looking early. In addition, it explains that while San Francisco may be more glamorous, San Jose is the true capital of Silicon Valley, and the more vibrant city in terms of computer hardware. Next, to learn about a representative downtown San Jose corporate housing venue, the Villa Torino, please visit http://www.keyhousing.com/rightside.asp?action=form3&ID=148. And, finally, to browse other available San Jose corporate housing please visit http://www.keyhousing.com/GMcontact.asp?location=San+Jose. Availabilities for corporate renters cannot be guaranteed; however, Key Housing has many other available opportunities in the hot San Jose and Bay Area rental market. Interested parties are recommended to either use the website, or contact Key Housing directly for personal assistance with their San Jose temporary housing needs. Based in Folsom, California, Key Housing Connections Inc. specializes in corporate housing and corporate housing in large cities like San Francisco, Los Angeles or San Jose as well as smaller cities like Fresno, San Diego and Sacramento. Whether the need if for a serviced apartment or a short term rental, corporate housing or short term apartments, just browse our listings to find the rental that fits one’s short term corporate housing needs. We are competitive with extended stay hotels in cities such as Cupertino, Santa Clara or even Long Beach, and many nurses, interns and people seeking pet friendly corporate housing or corporate relocation services depend on us for their furnished apartment or other temporary housing needs. Whether after Los Angeles corporate housing, short term rentals in San Francisco, or a serviced apartment in San Diego – we can aid the search for the right apartment in the Golden State. After all, we’re among the top-rated short-term apartment listing service in places like Redwood City, Santa Monica, Newport Beach and just about every city in California. Whether it’s serviced apartments or a furnished rental, just search, click or call today! This entry was posted in Corporate Housing and tagged Corporate Housing, Corporate Housing Leader, San Jose, San Jose Corporate Housing on October 10, 2016 by Lee McDonald.